No album comes close to Thriller as the all-time international best-seller, but Eagles' hit-studded album has proved to be a surprisingly strong competitor in the U.S. Both albums have extraordinarily broad appeal. Thriller and its key hits brought Jackson Grammys in the pop, rock and R&B fields. 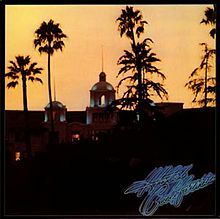 Eagles are the only group to have won Grammys in the pop, rock and country fields. Here's a factoid that will surprise you: Until 1976, there was no official recognition of sales achievements beyond gold, which denoted sales of 500,000 copies. That led the RIAA to introduce platinum awards for albums (released after Jan. 1, 1976) that sold 1 million copies. 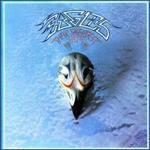 Eagles' Their Greatest Hits was the first album to qualify. On Feb. 24, 1976, it became the first platinum album. In October 1984, the RIAA introduced multiplatinum certifications. Thriller led the pack. The album, which had been out less than two years, was certified at the 20 million level, far more than Fleetwood Mac's Rumours, which was in second place at 12 million. Eagles' album was just platinum until August 1990, when it was belatedly submitted for multiplatinum certification. It was certified that month at the 12 million level. 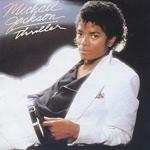 It first tied Thriller for the lead in the multiplatinum race in March 1997, when both albums stood at 24 million. The two albums have been battling it out ever since. Here's the RIAA's current list of the top 10 albums of all time. First, a clarification. The RIAA counts double-disk albums as two albums. That explains why four double-disk albums show up in its all-time top 10. I think double counting is excessively generous to double albums, which cost more than single-disk albums, but not twice as much. But that's the RIAA's long-time policy. Here's how I dealt with this: Right after the top 10, I show the four single-disk albums that were displaced from the top 10 by this policy. If you agree with me that the RIAA's double-counting policy creates a distorted picture, just pretend the four double-disk albums aren't there and move each of the single-disk albums up a notch. 1 (tie). Eagles, Their Greatest Hits 1971-1975, 29 million. This 1976 album is the best-selling greatest hits album of all time. It features five top 10 hits, including the group's first two #1s, "Best of My Love" and "One Of These Nights." 1 tie). Michael Jackson, Thriller, 29 million. This 1982 classic spawned seven top 10 hits, including the #1s "Billie Jean" and "Beat It." Thriller won eight Grammys, including Album of the Year. 3 (tie). Billy Joel, Greatest Hits Volume I & Volume II, 23 million. This 1985 release is a double album, so it has shipped about 11.5 million copies. 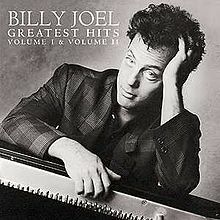 It features seven top 10 hits, including Joel's first two #1s, "It's Still Rock And Roll To Me" and "Tell Her About It." Joel has a second Diamond Album: 1977's The Stranger, which is is certified at 10 million. 3 (tie). Led Zeppelin, Led Zeppelin IV, 23 million. This 1971 release is the best-selling hard rock/heavy metal album of all time. The album includes "Stairway To Heaven," one of the most famous tracks that was never released as a single. The band has four other Diamond Albums: the double-disk Physical Graffiti (16 million), Led Zeppelin II (12 million), Houses Of The Holy (11 million) and Led Zeppelin (10 million). 3 (tie). 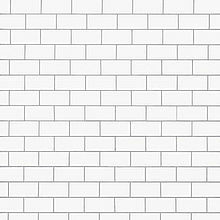 Pink Floyd, The Wall, 23 million. This 1979 release is a double album, so it has shipped about 11.5 million copies. Pink Floyd's 1973 classic The Dark Side Of The Moon, certified at 15 million, has sold more copies. 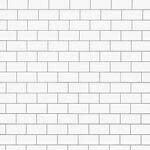 The Wall spawned the #1 hit "Another Brick In The Wall Part II." 6. AC/DC, Back In Black, 22 million. This 1980 release, the second best-selling hard rock album, yielded two top 40 hits, the title song and "You Shook Me All Night Long." 7. 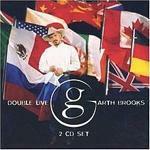 Garth Brooks, Double Live, 21 million. This 1998 release is a double album, so it has shipped about 10.5 million copies. Two of Brooks' albums have outsold it: No Fences, which is certified at 17 million, and Ropin' The Wind (14 million). Brooks has three more Diamond Albums, which are certified at 10 million: Garth Brooks, The Hits and Sevens. "It's Your Song," from Double Live, was a top 10 hit on Hot Country Songs and became Brooks' first Hot 100 entry. The album also included long versions of "The Thunder Rolls" and "Friends In Low Places." 8. Shania Twain, Come On Over, 20 million. This is the best-selling country album of all time, once you account for the doubling of Double Live. The album spawned three top 10 hits, "You're Still The One," "From This Moment On" and "That Don't Impress Me Much." Twain has three Diamond Albums, more than any other female artist. Her others are The Woman In Me (12 million) and the double-disk Up! (11 million). 9 (tie). The Beatles, The Beatles, 19 million. This 1968 release, better known as The White Album, is a double album, so it has shipped about 9.5 million copies. Three of the Fab Four's albums have outsold it: Abbey Road (12 million), Sgt. Pepper's Lonely Hearts Club Band (11 million) and the hit-studded compilation 1 (11 million). The group's 1973 double-disk compilations The Beatles/1967-1970 and The Beatles/1962-1966 are certified at 17 million and 15 million, respectively. "Revolution," from The White Album, was released as the B side of "Hey Jude." Other well-known songs on the album include "Back In The U.S.S.R," "Ob-La-Di, Ob-La-Da," "While My Guitar Gently Weeps," "Blackbird," "Julia," "Helter Skelter" and "Good Night." 9 (tie). 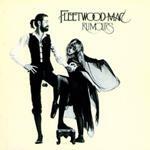 Fleetwood Mac, Rumours, 19 million. This 1977 classic spawned four top 10 hits: "Go Your Own Way," "Dreams," "Don't Stop" and "You Make Loving Fun." It was the first album to generate four top 10 hits. It also won a Grammy as Album of the Year. 11. Guns N' Roses, Appetite For Destruction, 18 million. 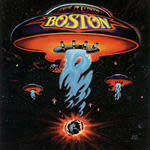 This 1987 release is the best-selling debut album of all time, edging out Boston's Boston (17 million). It spawned three top 10 hits: "Sweet Child O' Mine," "Welcome To The Jungle" and "Paradise City." 12 (tie). 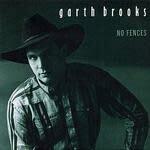 Garth Brooks, No Fences, 17 million. This 1990 album spawned four #1 hits on Hot Country Songs: "Friends In Low Places," "Unanswered Prayers," "Two Of A Kind, Workin' On A Full House" and "The Thunder Rolls." It won a CMA Award as Album of the Year. 12 (tie). Whitney Houston & Various Artists/The Bodyguard soundtrack, 17 million. This 1992 album is the best-selling soundtrack of all time, edging out Bee Gees' double-disk Saturday Night Fever (15 million) and Prince and the Revolution's Purple Rain (13 million). The Bodyguard spawned three top five hits: "I Will Always Love You," "I'm Every Woman" and "I Have Nothing." It also won a Grammy as Album of the Year. Houston has a second Diamond album: Her 1985 debut album Whitney Houston, which is certified at 13 million. 12 (tie). Boston, Boston, 17 million. This 1976 album spawned the top five hit, "More Than A Feeling," a cornerstone of the album-rock radio format. If you want to see the RIAA's entire list of Diamond Award winners, go to www.RIAA.com, hit the link for Gold and Platinum, and then hit the link for Diamond Awards. But first I'm going to attempt to explain why the RIAA numbers sometimes differ from the Nielsen/SoundScan numbers. The Beatles' 1 has sold 12,108,000 copies as of this week, according to Nielsen/SoundScan, yet is certified at just 11 million. The RIAA is behind on updating this certification. But it's probably not their fault. Record companies have to submit albums for certification updates. They generally do this when they have something to promote and can use the publicity. It's more common for the RIAA figures to be greater than the Nielsen/SoundScan figures. Garth Brooks' Double Live is certified at 21 million (which we can take down to 10.5 million because it' a double album), but has sold only 6,017,000 copies, according to Nielsen/SoundScan. Shania Twain's Come On Over is certified at 20 million, yet has sold 15,552,000 copies. Whitney Houston's The Bodyguard soundtrack is certified at 17 million, yet has sold 12,051,000. As I noted at the outset, the RIAA measures shipments, not sales. It's possible that 20 million copies of Come On Over have been shipped, and that about 4.5 million remain unsold. It's possible that a large number of those have been sold at non-traditional retailers that Nielsen/SoundScan doesn't track. It's possible that the Nielsen/SoundScan number is low or (more likely) that the RIAA figure is high. Record companies may (brace yourself) hype their numbers to make their artists look hotter than they actually are. The RIAA audits the record company claims, but I suspect their audits are a shade less rigorous than an IRS audit. I tend to put more stock in the Nielsen/SoundScan numbers than the RIAA certifications, though they add to the overall picture. They are most helpful on albums that were released before 1991, when Nielsen/SoundScan began tracking sales for Billboard. A good general rule: You take all the available numbers into account and you tend to get the full story.